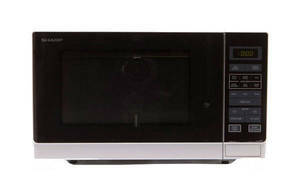 Snapshot: The Sharp R30A0S is a standard microwave with 10 power levels, auto cook and auto reheat. How well does it defrost mince and chicken? Very good at defrosting chicken. Just OK at reheating quiche. Just OK visibility through door. Digital display isn’t very bright or clear.